Create by Founder and Producer, Suzanne Spencer, SUD Talks is a community and industry specific event designed to create change. The event features a collection of diverse speakers and subject matters followed by an engaging panel discussion with industry experts. The mission of the Delray Beach Drug Task Force is to provide Community Leadership and Education on issues related to and resulting from Substance Use Disorder. We do so by maintaining a network and forum to discuss, advocate, and influence issues with regards to Public Safety, Prevention and Rehabilitation. Five years ago I was in a room with seven people to hold an election. A potential nominee was late and, as a result, I was nominated and voted in as Chairman of the Delray Beach Drug Task Force. It all happened so fast and no one in that room, including myself, had any idea of what impact the vote was about to bring into their lives, my life and to our City of Delray Beach. At the beginning I was scared and nervous about my ability to lead. But over the last five years, it has been my honor to lead this organization. That day forever changed my life and my career. I remember that I asked the group to give me a chance and, in return, I promised the group one thing: Action! It was the union of both those agreements throughout the years that have allowed our organization to move from the depths of insignificance to the pinnacle of relevance. We are in a time and space where solutions to the numerous issues that surround communities and Substance Use Disorder need the engagement of diverse stakeholders, community leaders and change agents who are willing to Stand Together as One. The lines of ethics are not as blurred as we make them: Just do the right thing. Those in Recovery want to be held to the expectation of success. We must model that our quality of life is better living in wellness than sickness. That we must recognize there is a balance between consumer protection and community protection to preserve eco-systems of health and functioning. We must give others the opportunity to live up to their potential instead of down to their diagnosis. I leave you as Executive Director because I believe that for the good of an organization and its people, leadership needs to change. It is time that I take the next step in my leadership journey. It is important to create an opportunity for a new leader to make a contribution to the Delray Beach Drug Task Force. Five years ago I was an unknown and the extinction of the Delray Beach Drug Task Force was imminent. Through our presentation of SUD Talks, it is my hope that you will have a good understanding of the heart and purpose of both myself and of the task force. My professional future will look for opportunities that allow me to mobilize change, to provide leadership, to create a vision, and to build systems, people, and organizations. Most importantly I want to serve my community. Thank you, to all of you, who have stood by my side, answered any call to action, and who took pride in what we stood for as an organization throughout my years. I am confident that I am leaving you in good hands, and in the words of James Taylor, “All you have to do is call, and I’ll Be There”. Jillian is Principal and Creative Director of Starboard, a design studio based in Portland, Oregon. Armed with a deep desire to understand humanity, Jillian focuses on creating work that fosters positive change and has impact on her surrounding community. She has over a decade of experience working in commercial and academic creative industries and has developed creative work for award-winning filmmakers, photographers and artists whose focus is to bring awareness to current social injustices. Jillian earned her BA in Digital Media and an MFA in Emerging Media from the UCF School of Visual Arts and Design. Born and raised in Florida, Jillian was lured by the beauty of the Pacific Northwest where she currently resides on an old timber ranch with her husband and chocolate lab, Gambit. Mike is a Business Development Associate at Guardian Recovery Network and Boca Detox located in South Florida. He is responsible for developing and monitoring relationships with individuals, families and referral sources. He has been in the Behavioral Health field since 2012, starting in admissions and community relations at Westbridge in New Hampshire. In addition to Mike's responsibilities at Guardian and Boca Detox, he serves as a board member on the Delray Beach Drug Task Force which was designed to bring stakeholders in Palm Beach County working with or affected by addiction together in order to better serve the community and solve the growing issues around substance use. He also volunteers his time with Living Skills In The Schools (LSIS), a program that brings speakers into local schools to talk about addiction. Mike earned a BA in Business Management from Missouri Baptist University where he was also an All-American college basketball player. He enjoys winter hiking, woodworking, and spending time with his wife and their new daughter. Marlies Jones is the Director of the Posner Career Center at Wayside House (the historic and innovative addiction recovery program. Wayside House was founded in 1974 and located in Delray). Marlies has had a successful career spanning more than 25 years in human resources, financial management, and business operations. Co-creator and member of Project Trailblazer she is continuously out in the community educating employers on the benefits of working with a career center when hiring people in recovery. 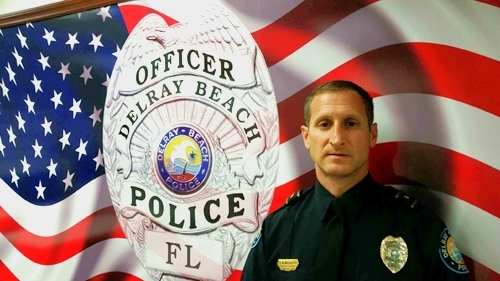 Lieutenant Michael Moschette is a twenty year veteran of the Delray Beach Police Department. He holds a Bachelor’s Degree in Criminal Justice and is a graduate of the Southern Police Institute’s 64th Command Officers Development Class. Lieutenant Moschette is the former Commander of the Delray Beach Police Department’s Vice, Intelligence, and Narcotics Unit. He has an extensive background in narcotics to include hundreds of hours of training and thousands of hours narcotics investigation at all levels. Nancy has worked in the field of addictions for over 35 years. She has held various positions in the treatment industry, from Director of programs to founding of FARR (Florida Association of Recovery Residences). She retired as the Executive Director for The Sanctuary in Delray Beach, a position she held for the past decade. She continues to remain on the leadership team for Crossroads Centre and senior clinical consultant for The Sanctuary--a subsidiary of the Crossroads Antigua Foundation. Ms. Steiner continues to serve on various committees which are focused on recovery. Over the past decade she has received various awards for her continuous work in mental health and addictions. She and her husband both serve on the Drug Task Force Board. 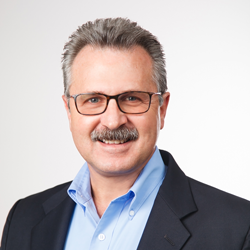 With over 20 years of behavioral healthcare management experience, including over 17 years of senior management experience, Klay Weaver joined Lifeskills South Florida in 2015 as Executive Director. Prior to joining Lifeskills South Florida, Weaver served as the chief operating officer of Skyland Trail where he oversaw the organization’s strategic growth, financial operations, clinical operations and marketing. Weaver has held several executive positions throughout his career and received a B.A. in education after which he obtained a M.Div. from Asbury Theological Seminary and a M.S.W. from the University of Kentucky. Active in the community, Weaver has served on multiple non-profit boards including the Georgia Community Service Board Association, Red Cross, NW Georgia Drug Task Force and more. Haynes Young is the Founder and Partner of Addison House. Located in Boynton Beach, FL, Addison House provides supervised peer-to-peer communities for men in early recovery from substance use and process addiction disorders. For the past decade, Haynes has held senior leadership positions in businesses services helping human resource departments attract, screen, and on-board new employees. From 2005 until 2010 Haynes served as Director of Operations for Navicus, a talent management screening start-up. From 2010 through 2013 Haynes served as Managing Director of Domestic Operations for Pinkerton Employment Screening. Haynes founded Addison House in 2014. By focusing on high standards and exceptional client services Addison House has quickly established itself as one of the most respected transitional living communities in the country.